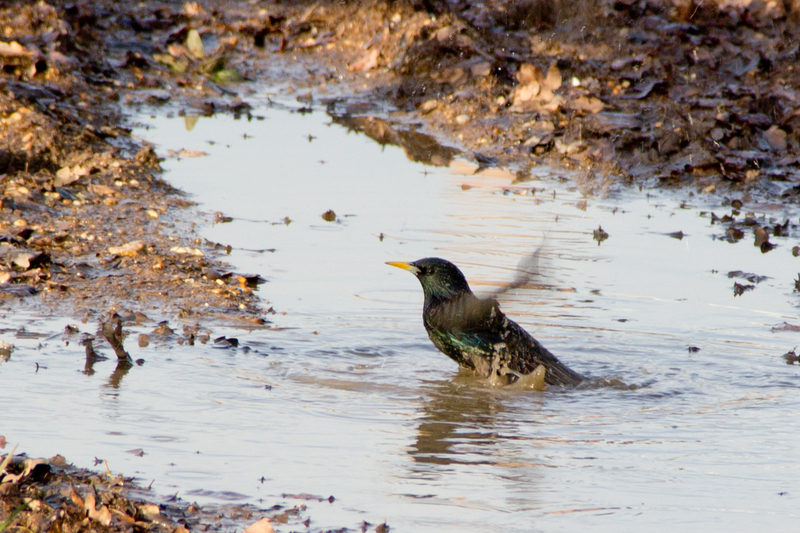 A starling bathes in a puddle, but not all farm residents are pleased with the wet weather! Over the past month, we have been battling the wet and stormy winter weather. The farm has withstood the wind and rain admirably. However, the land is now saturated and as the rain continues, so does its toll on surfaces across the farm. Wellies at the ready! We would like to improve drainage and enhance eroded footpaths across the site, but we need large volumes of aggregate to do so. Could you help? If your site has a bit of extra road stone (MOT Type 1 Road Stone would be ideal), concrete, scalpings, or any other form of aggregate under 40mm, we would love to help upcycle this for you. We can also reuse aggregate that has been removed during resurfacing works. Given the large areas to cover, we can accept fairly large quantities of material (at least a lorry full!). If you might be able to help, or know someone who might, please get in touch with us by email to farm@mudchute.org. Thank you for your support!